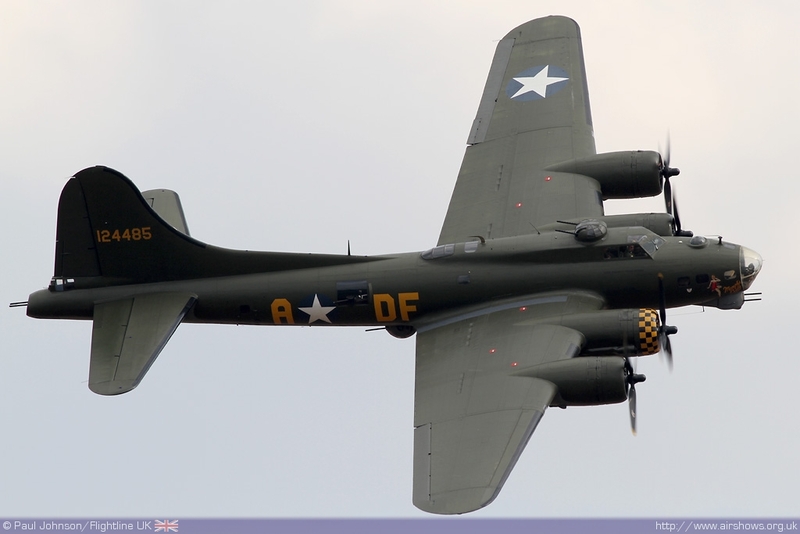 The B-17G Flying Fortress Sally-B was being part of the fabric of the UK airshow circuit for more than 30 years. 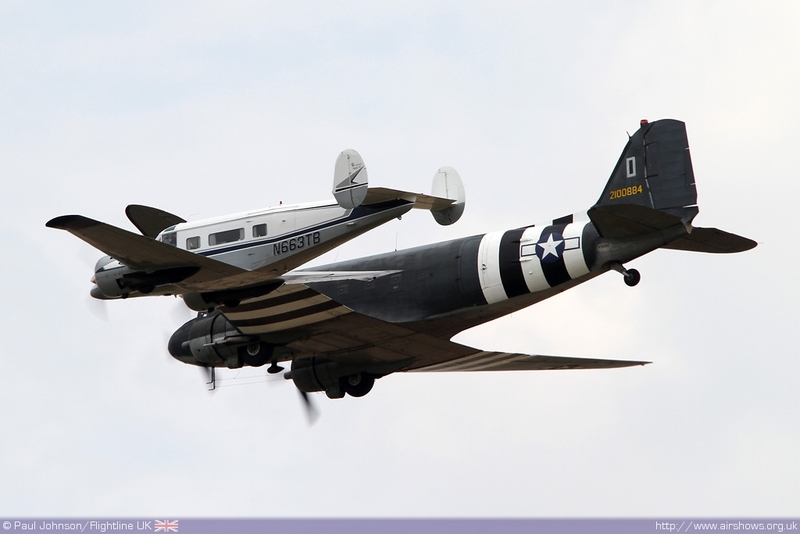 The aircraft is recognised as the flying memorial to all of the airmen of the United States Army Air Force that fought over Europe during the Second World War making the aircraft a very important part of airshows and military commemorations. 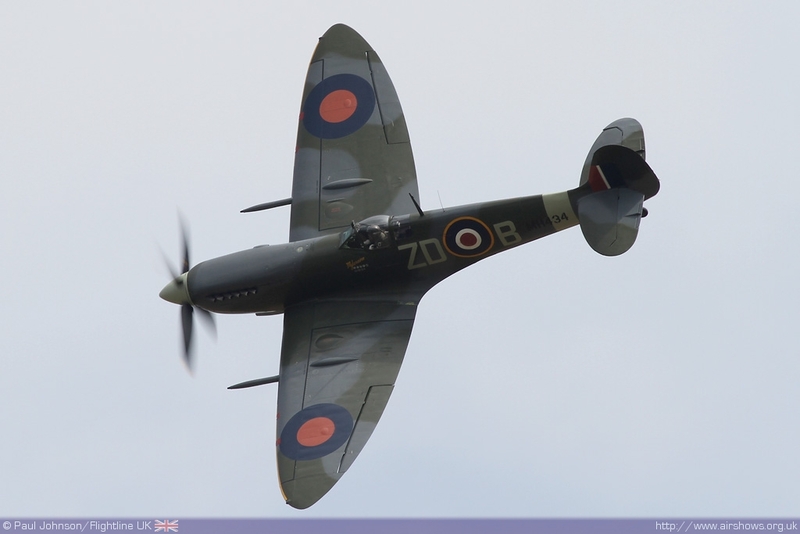 The supporting organisation, led by Elly Sallingboe has faced some very tough times of those years which have included the aircraft become stuck on the Channel Islands with technical problems and the ever increasing cost of insurance and operating costs. 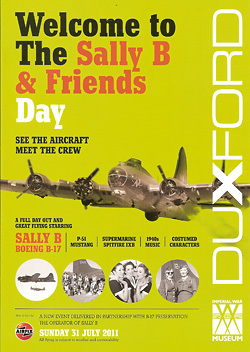 For most of her airshow life, Sally-B has resided at the Imperial War Museum Duxford which on the 31st July provided the venue for a new event; the Sally-B and Friends Day. 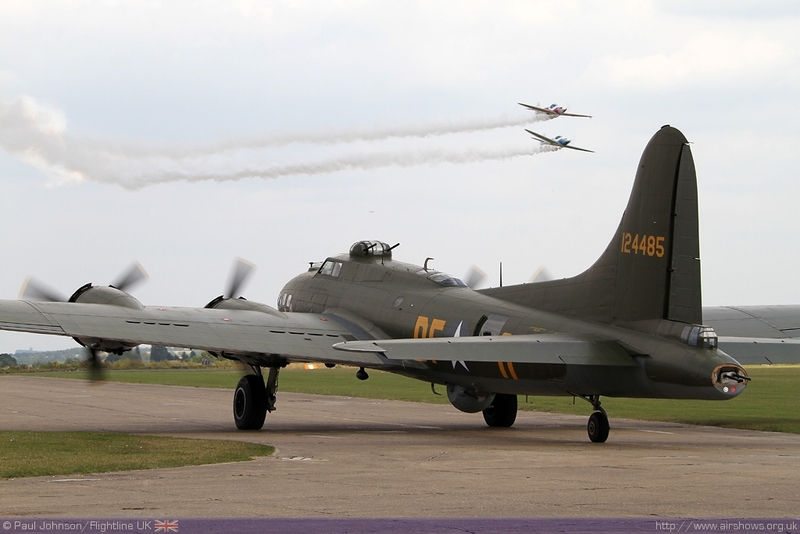 The “Sally-B and Friends Day” was not advertised as an airshow, despite the day including several flying demonstrations by a number of air display favourites. 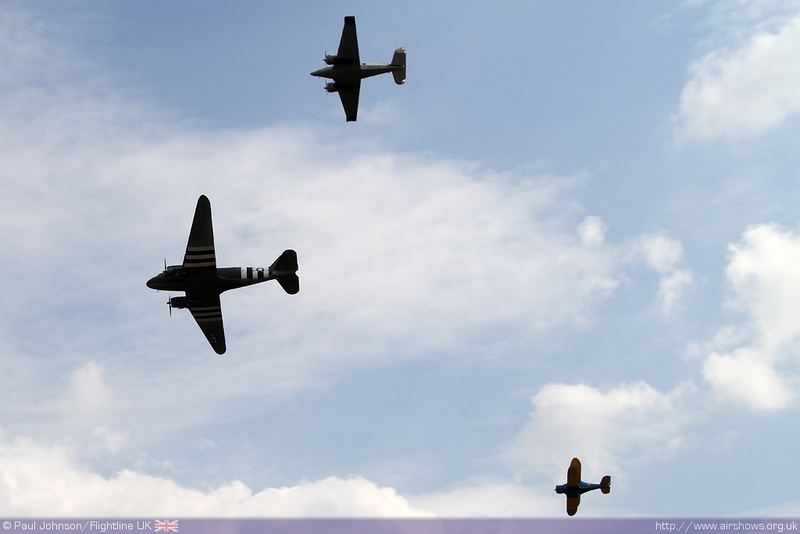 On the ground, Duxford took on a very American 1940’s theme. 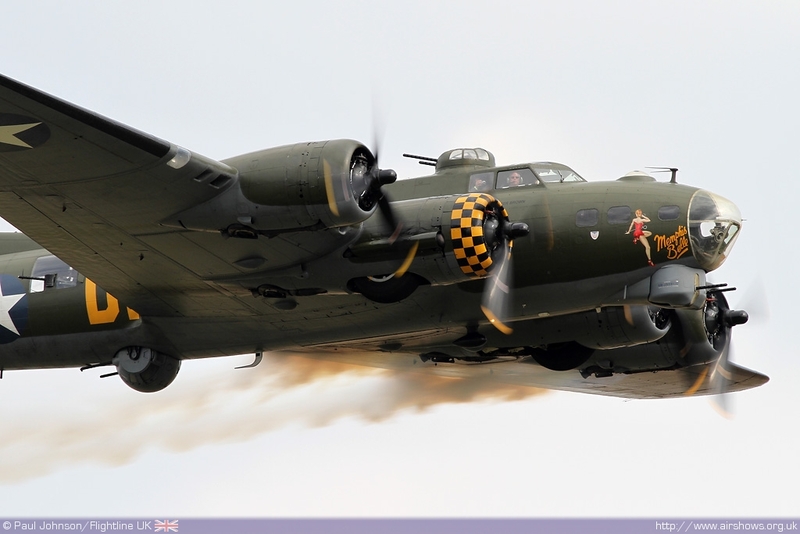 The day was centred on the eastern end of the airfield and the parking area for Sally-B. 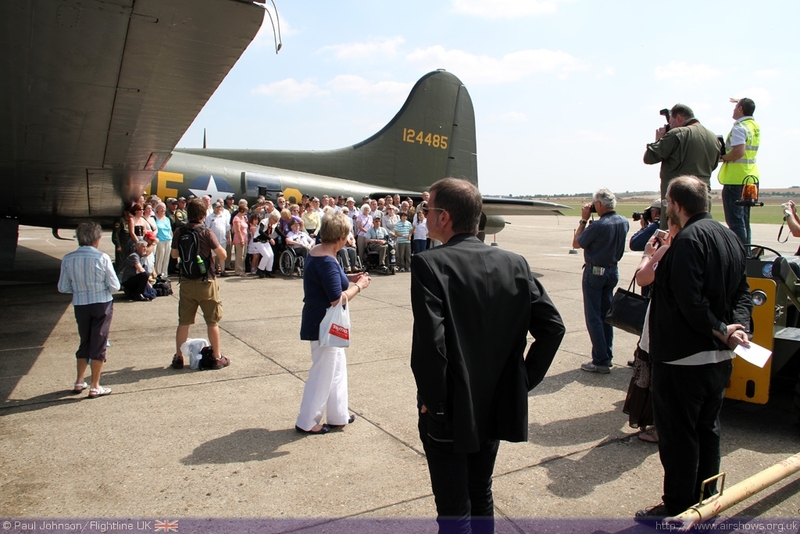 Throughout the day there was a chance for the visitors to get up and close with the B-17G and listen to talks and presentations about the aircraft’s history and operations by those most closely associated with the aircraft. 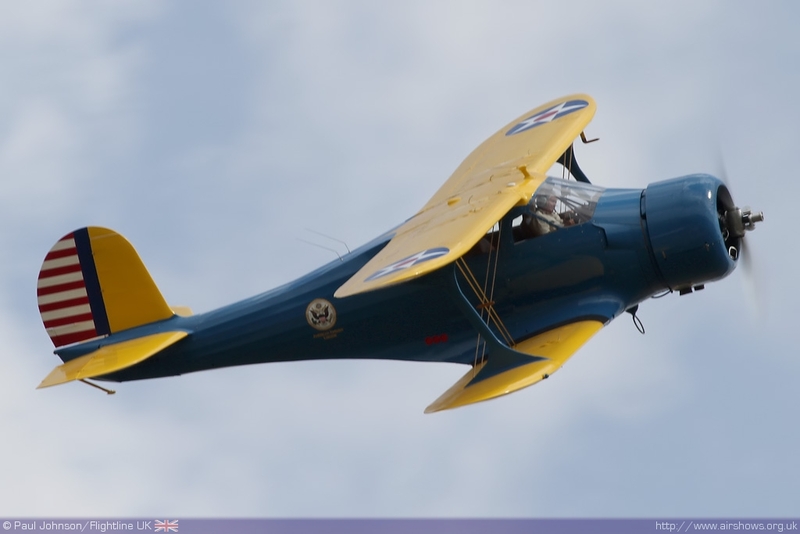 Around the aircraft there was a 1940’s American encampment complete with re-enactors. 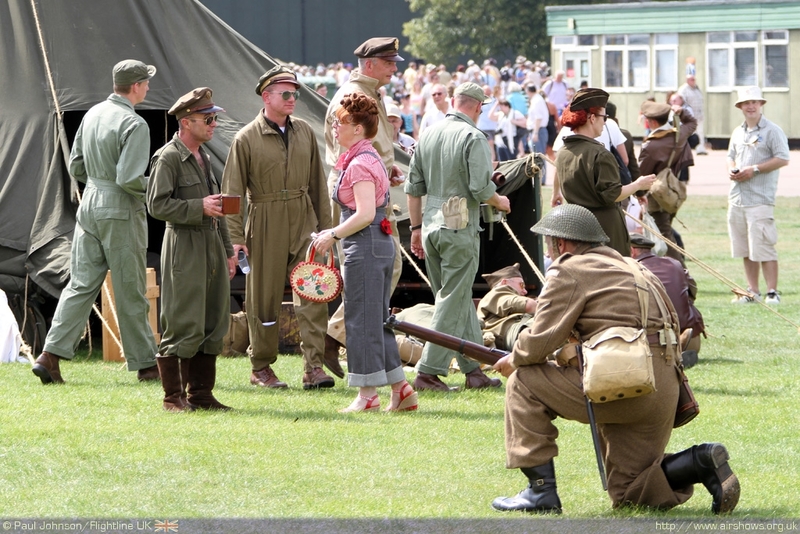 There was even a unit of the Home Guard roaming around the site conducting drills. 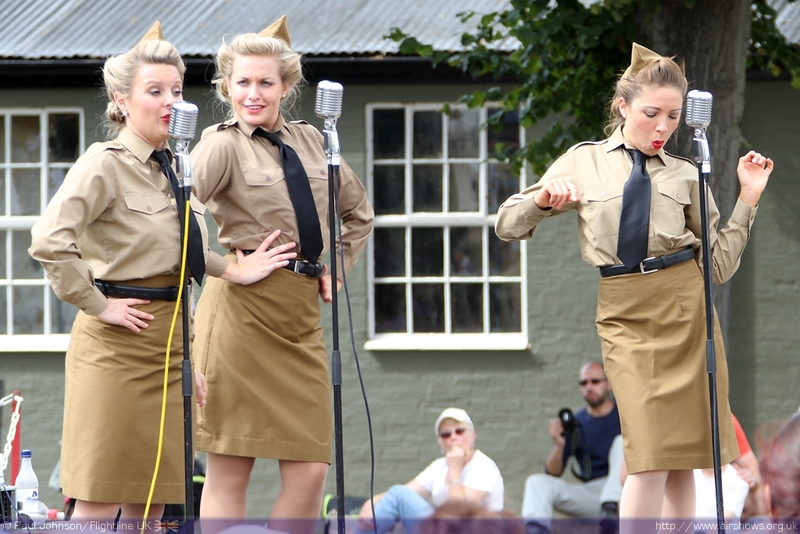 Around the Wing Co’s Café the D-Day Darlings performed further adding to a very special atmosphere for the day. 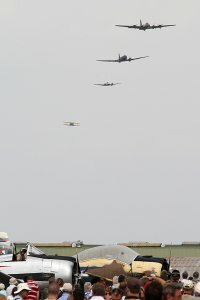 The day also provided a platform for the unveiling of the roll of honour for Sally-B’s supporters which appears on the port side fuselage of the aircraft where it will remain for future display seasons. 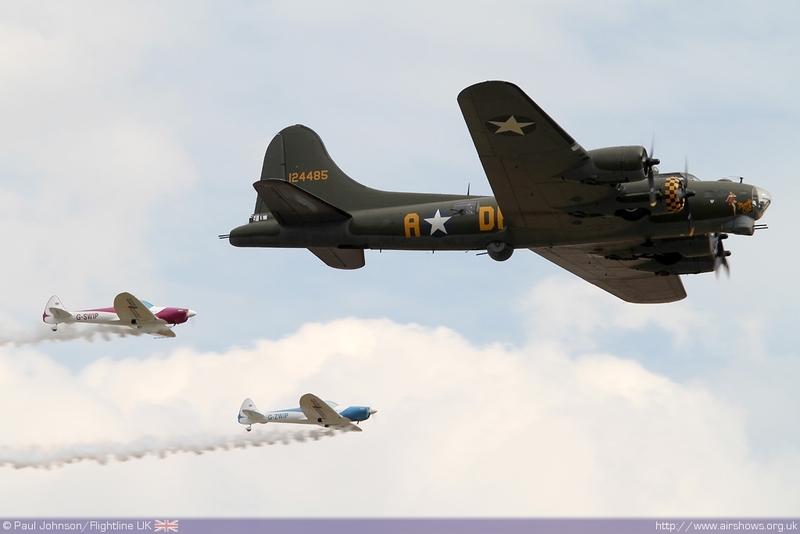 The flying demonstrations took part in three separate periods during the after and all of them starred the B-17 Sally-B flying alongside some of her friends and as a solo display. 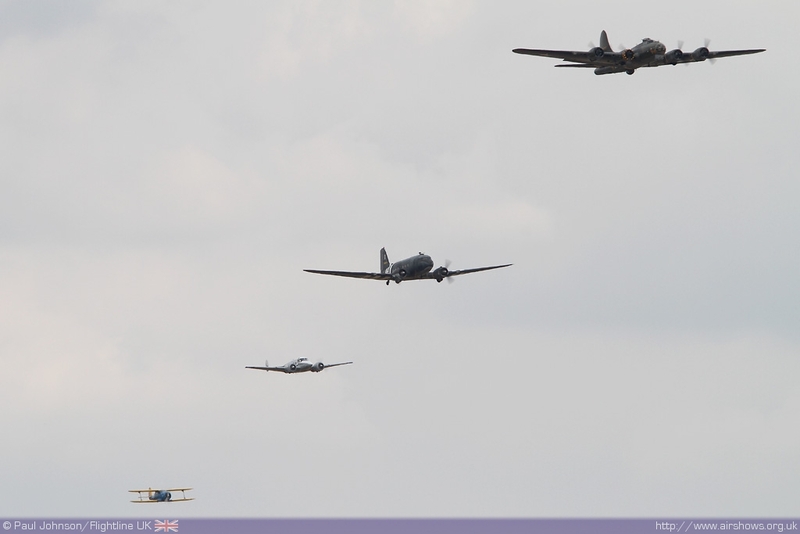 These displays were a nod to the “Great Warbirds” Displays that were organised by Elly Sallingboe and her team during the 1990’s firstly at West Malling in Kent before moving to Wroughton Airfield in Wiltshire. 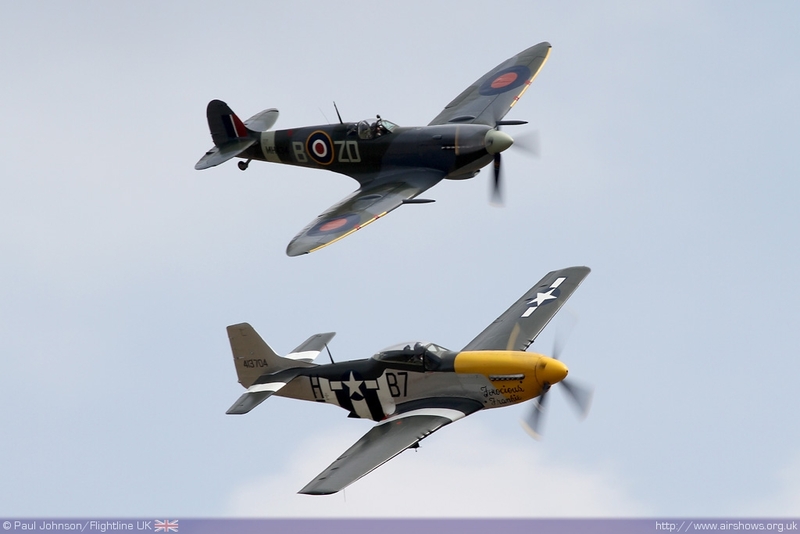 The displays retained the flavour of these events with the special formation flypasts and the content of the displays. 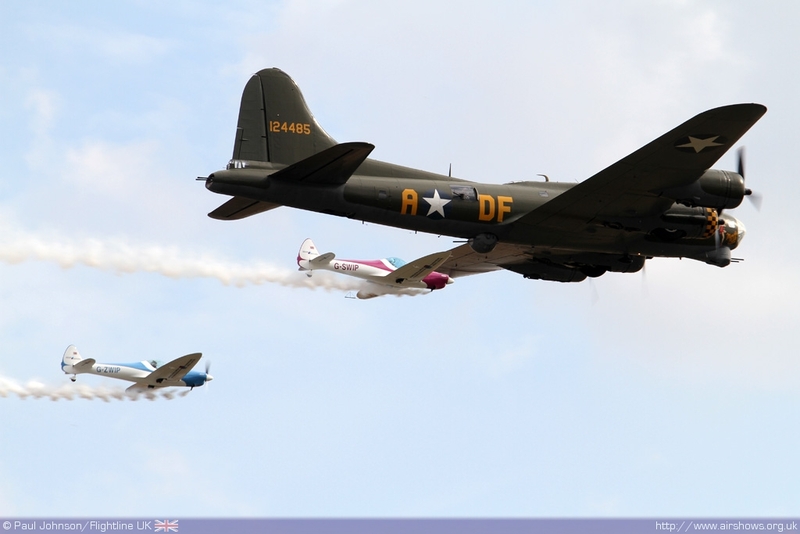 The B-17 opened the flying the displays with a solo display before joining up with the Spitfire IX and P-51D Mustang Ferocious Frankie from the Old Flying Machine Company. Unusually the two little friends were flown by Stu Goldspink and Alan Wade making their OFMC debut! 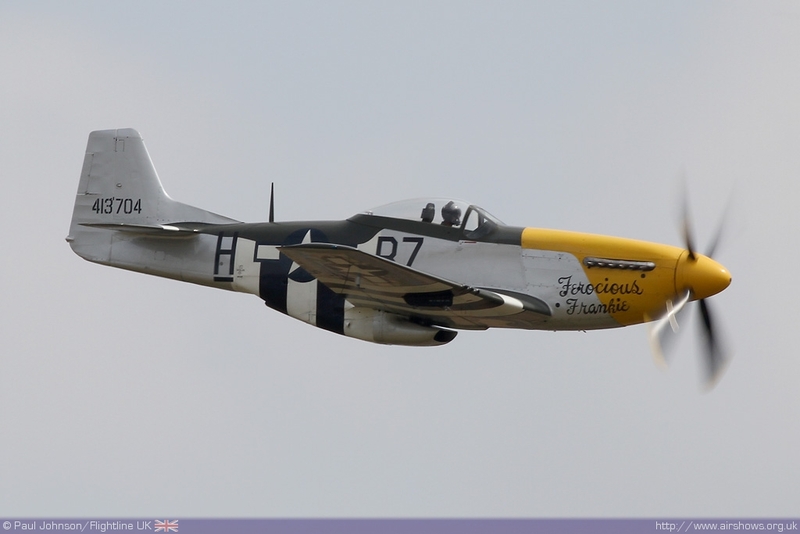 Following their formation spot both fighters performed solo displays before landing back on. 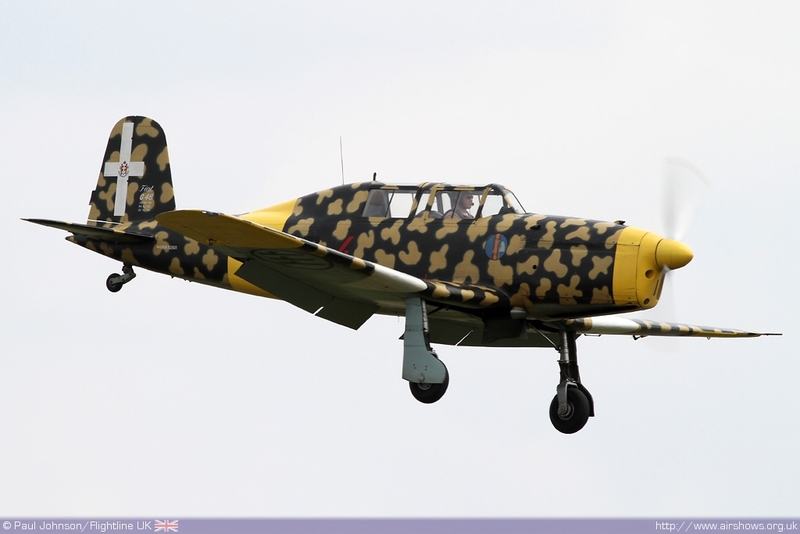 They were followed by a rare display appearance by the FIAT G46 fighter trainer flown by aerobatic ace Mark Rijske who is well known as one of the pilots with the Aerostars formation team flying Yak-50s. 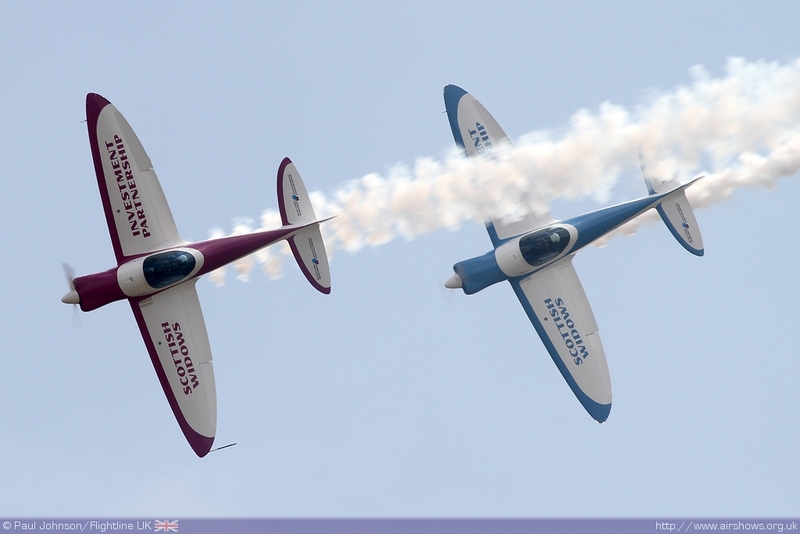 The second period of flying got underway with the SWIP Team making their Duxford debut with their graceful synchronised aerobatics which was a prelude to the show finale. 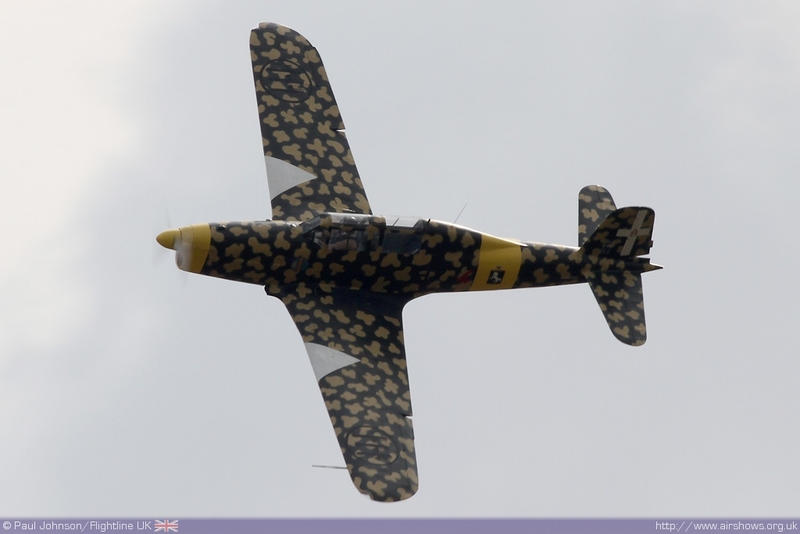 Following on from them was perhaps the biggest throwback to the Great Warbirds Air Display with a collection of rare heavy types. 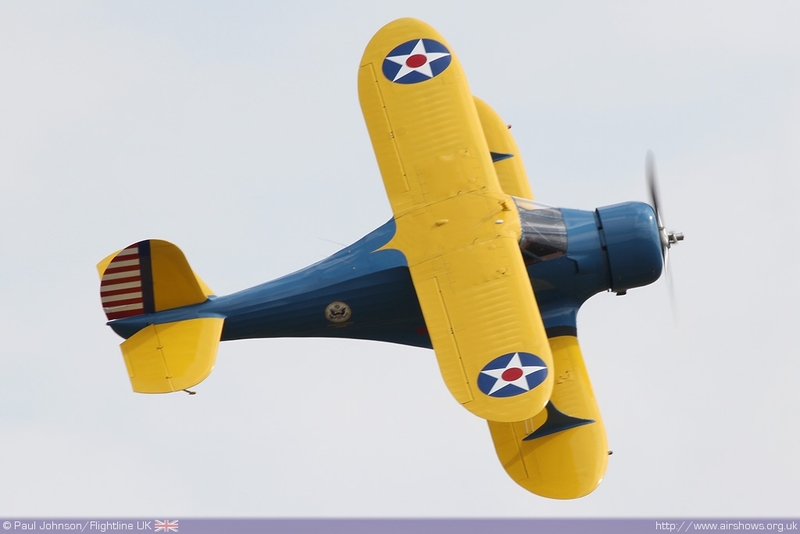 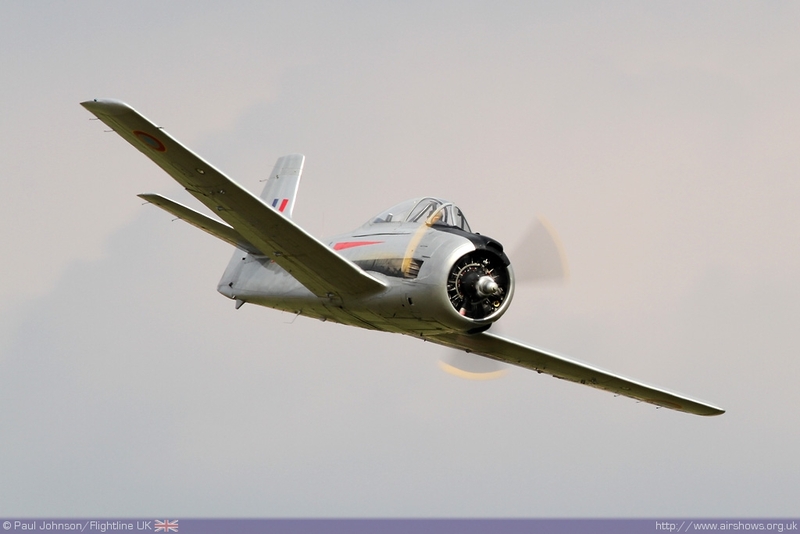 The sequence was opened by a display from a Netherlands based Beech Staggerwing before the rest of the’balbo’ launched. 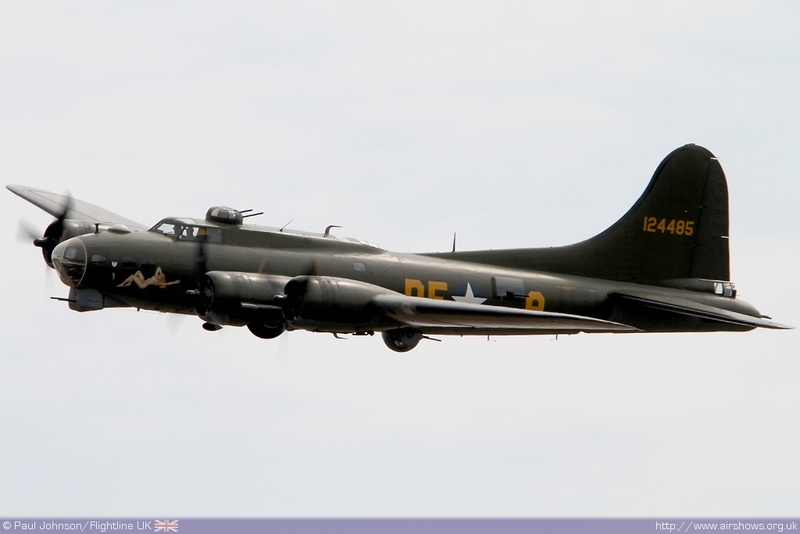 This was led by Sally-B, but also included Aces High’s Douglas C-47 ‘Dakota’ and a Beech 18 with tricycle gear. 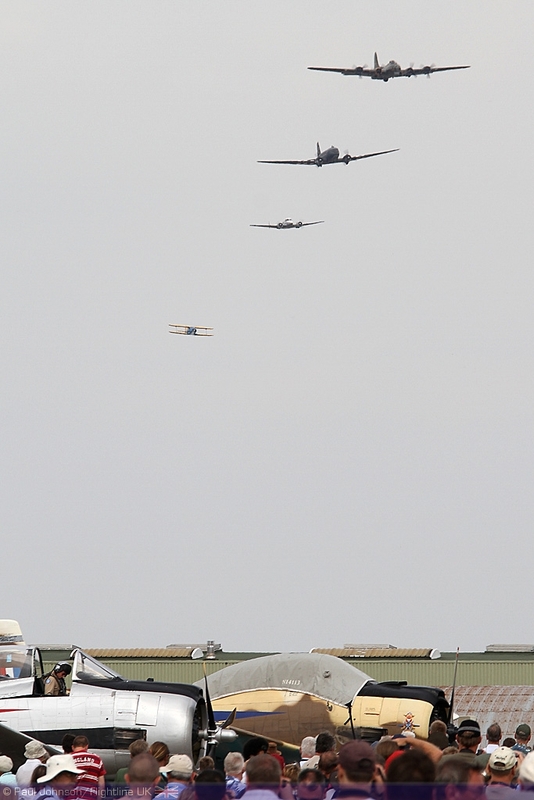 The formation made a number of passes over Duxford and seeing so many large aircraft together was superb. 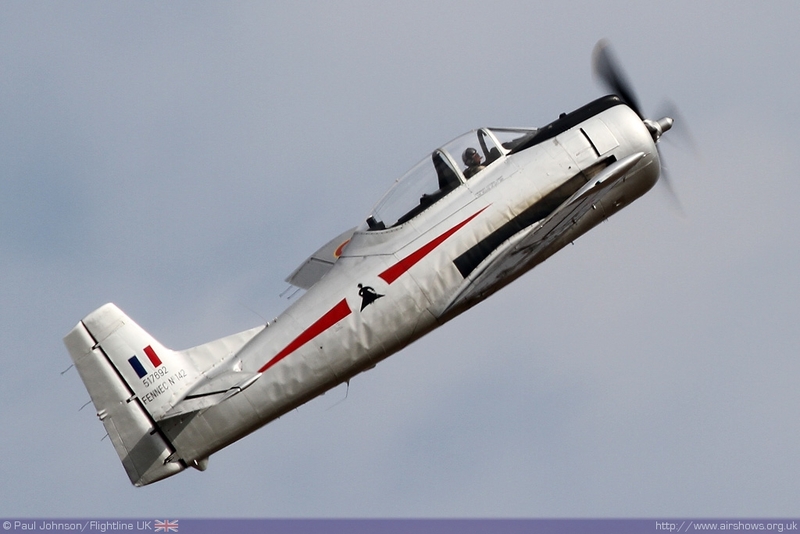 The final sequence of flying first saw John Romain flying an excellent solo routine in the silver North American T-28S Fennec which glinted in the hazy Duxford sunshine. 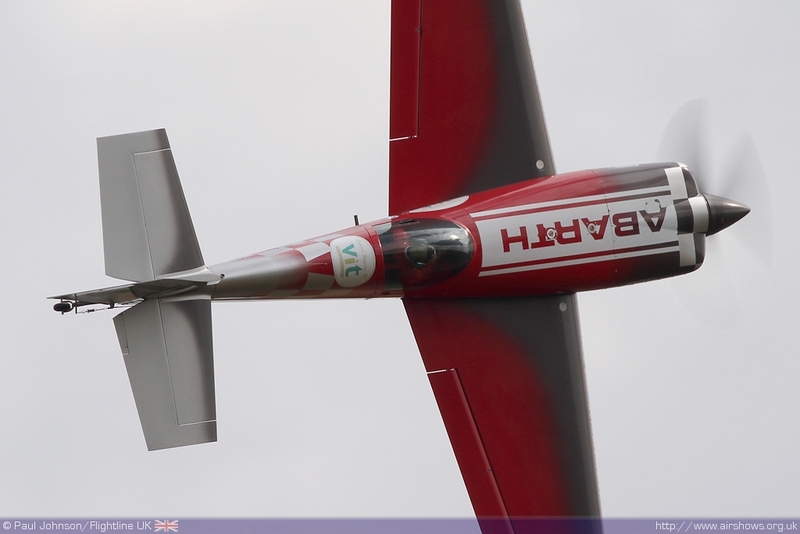 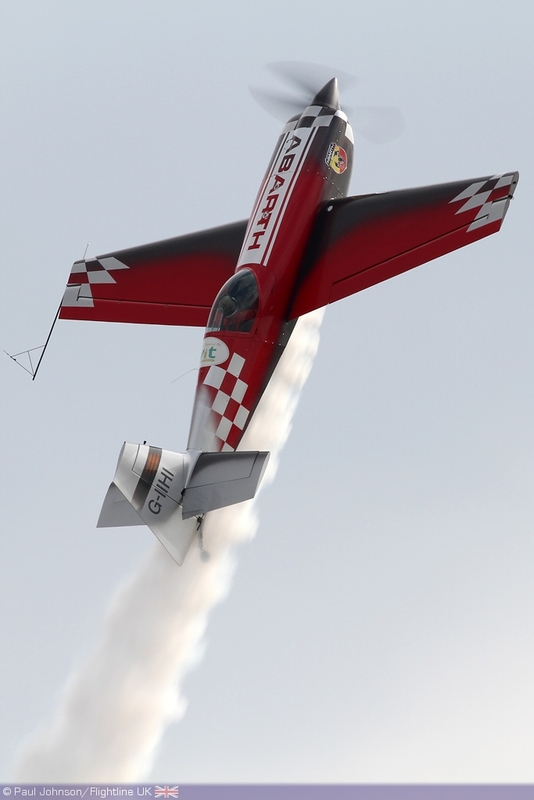 The Fennec was followed by the amazing aerobatics of Mark Jefferies in the Abarth sponsor Extra 330SC from nearby Little Gransden. 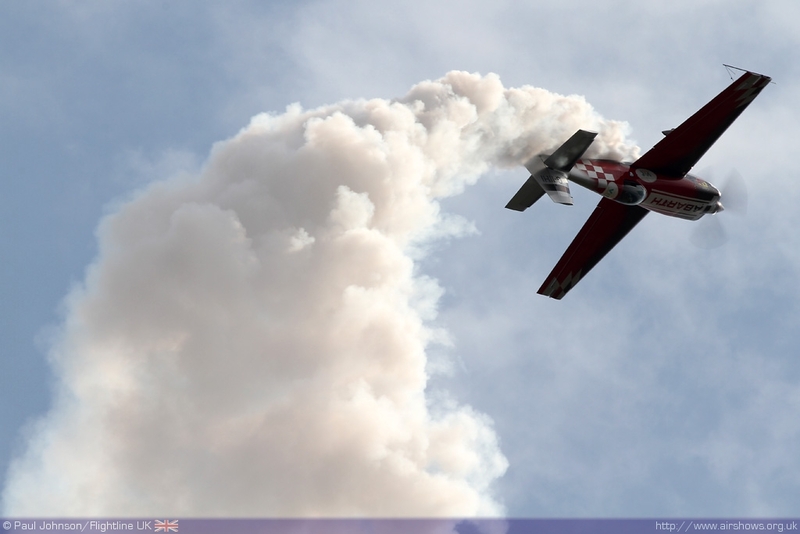 Marks displays always seem to defy the laws of physics with some punishing tumbles and some great smoke effects. 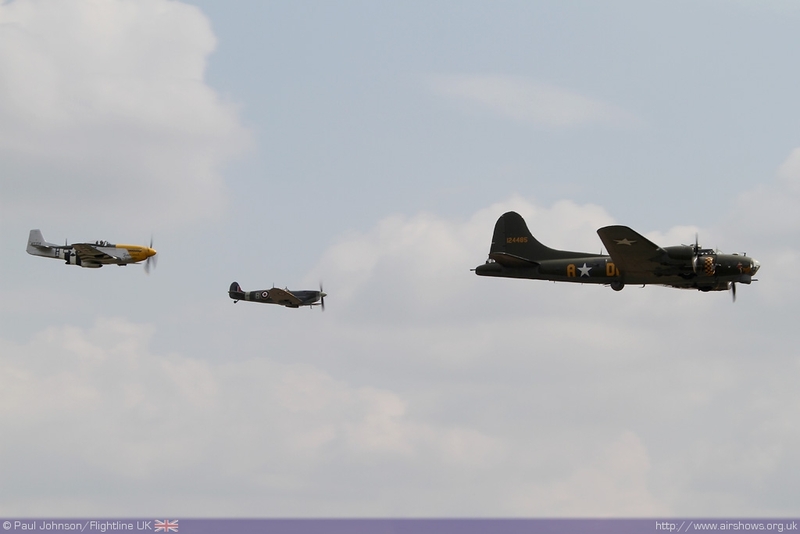 The finale to the flying was another display by Sally-B , but this time she was joined by her ‘littlest’ friends in the form of the two Silence SA1100 Twisters of the SWIP Team. 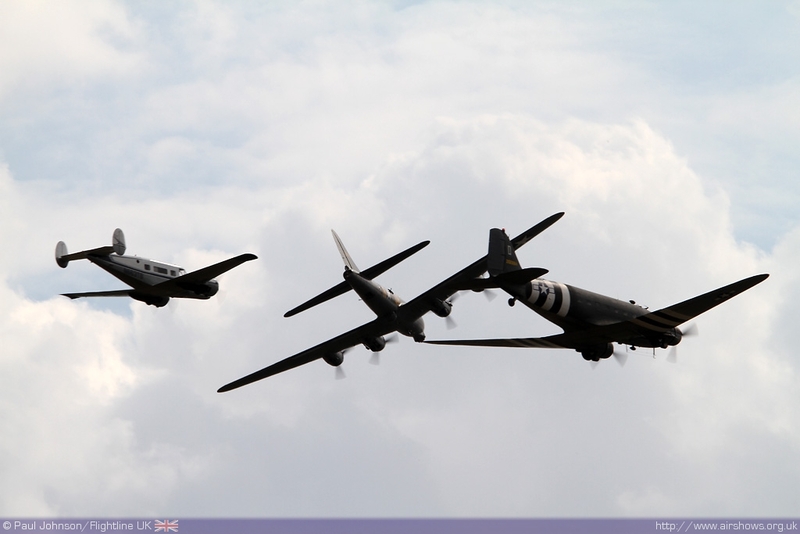 With the B-17 having to fly fairly slowly and the Twisters maxed out it was a superb piece of airmanship to keep the formation so tight and it was great to see such an unusual combination of aircraft together. 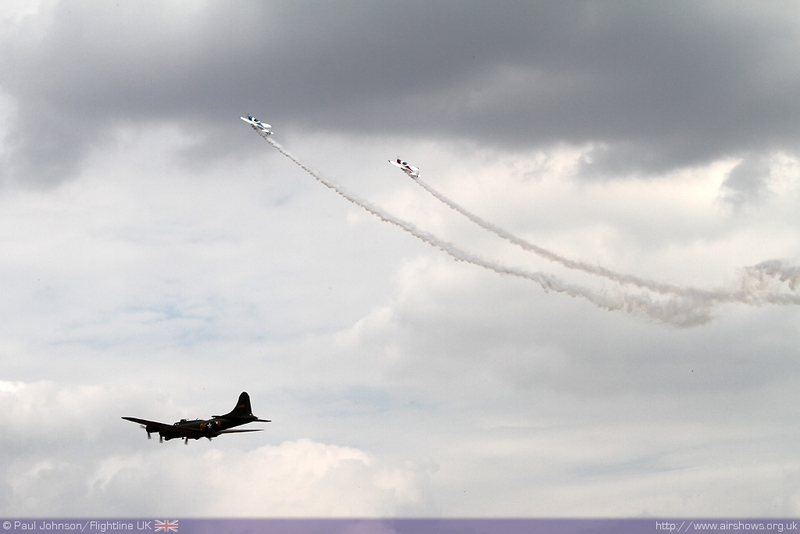 After a spirited break, Sally-B went on to perform the final solo display of what had been a great day at Duxford. 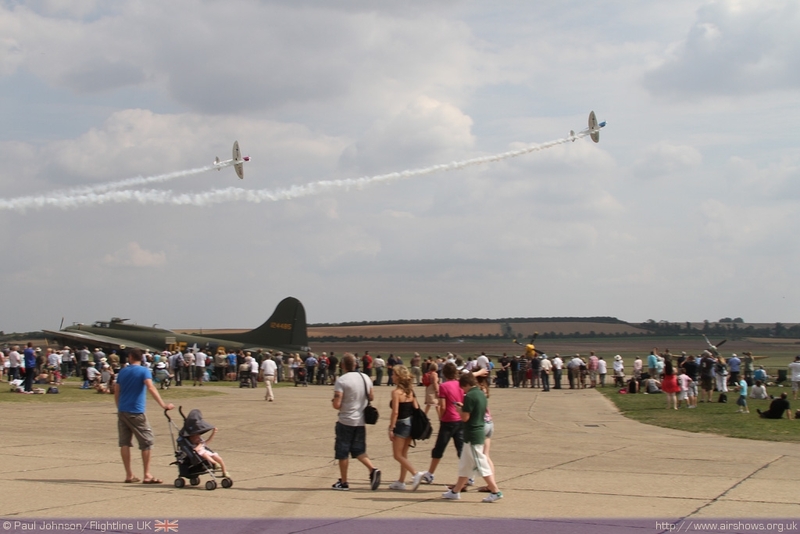 Without the hussle of the airshows, the Sally-B and Friends Days was relaxed way to enjoy the sight and sounds of this iconic aircraft. 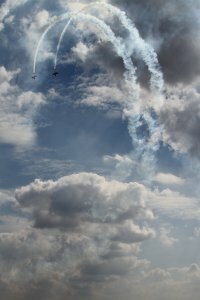 It was all topped off with a superb atmosphere thanks to the very thoughtful collection of ground attractions and hopefully one that can be repeated for many years to come!